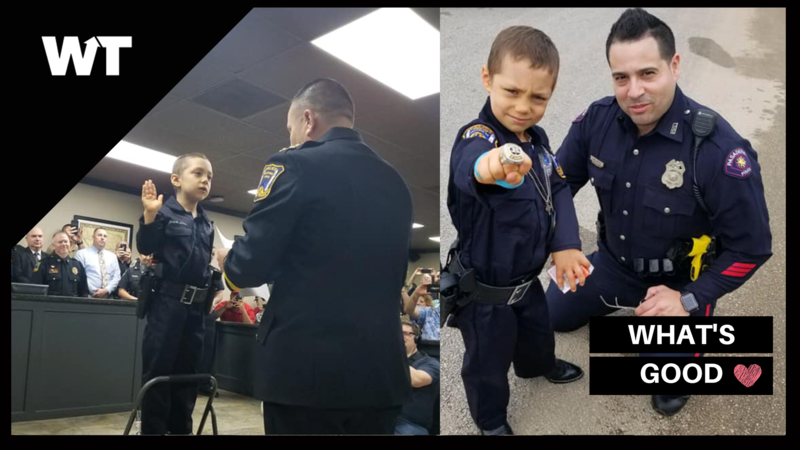 6 year old Abigail Arias was just sworn in as an honorary police officer while battling cancer, and the video will make you cry. Abigail has has been battling Wilms, tumor a type of kidney cancer found in children. Unfortunately, after a long fight, chemo and radiation have not worked and her family is leaving it in God’s hands, praying for a miracle. Abigail’s family and doctors decided it was time for her to enjoy life. At Christmastime, Abigail attended the police department’s “Pancakes with Santa” event. During the meeting, she expressed that she wanted to become a police officer when she grows up. Freeport Police Chief Raymond Garivey Jr. decided to make that happen. At her swearing in, Abigail said: “I promise to be kind to others. I promise to help others when they need help. I promise to help my police family at all times for now and forever. I promise to keep fighting bad guys until all of my cancer is gone. The event was emotional, to say the least. 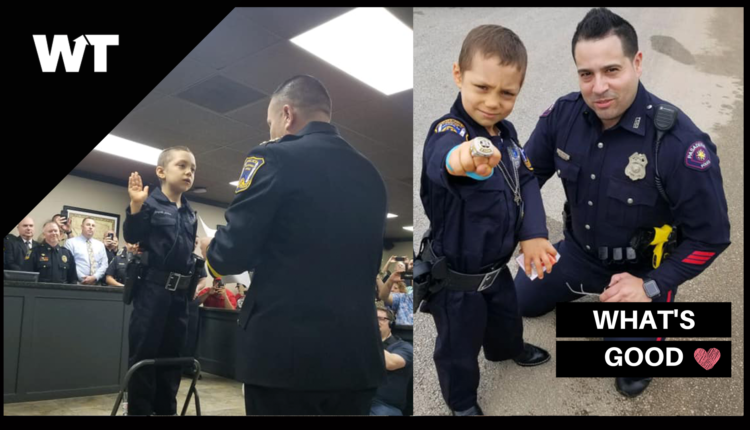 The police chief said: “Her terrific smile and will to keep fighting ‘the bad guys’ inside of her — I wanted to make her dream come true,” The chief reached out to a company called Cop Stop to get a custom Freeport uniform specially designed for Abigail. Cop Stop donated the uniform to her, along with the duty rig and gun belt. Abigail was sworn in surrounded by her family and police officers from around the state, bringing the community together and surrounding her with love.